People who have the feeling they are sliding down the seat, since the raised lip prevents this. Has a seat with raised lip as standard (B:46xL:35 cm) and an Ergo backrest (B:38xL:22 cm). The Kap seat with raised lip (B:46xL:35 cm), so the user avoids the feeling of sliding down the seat when it is tilted forward. 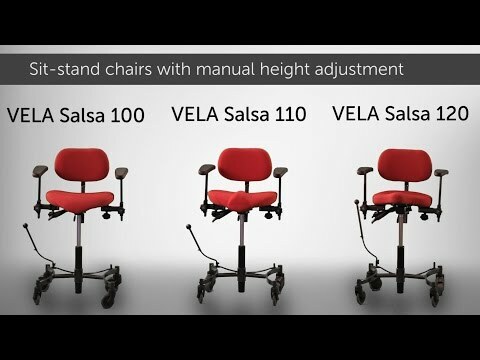 The chair allows the user to get close up to their work. Loose cover for seat with raised lip. The cover is hygienic, washable and can easily be removed and washed in the washing machine. It is available in fabric or waterproof plastic, which is useful e.g. in the case of incontinence. Zoom is a quality fabric from verotex in 97% wool and 3% spandex. Abrasion Resistance 45,000 Martindale. It has a great durability and a very good elasticity.